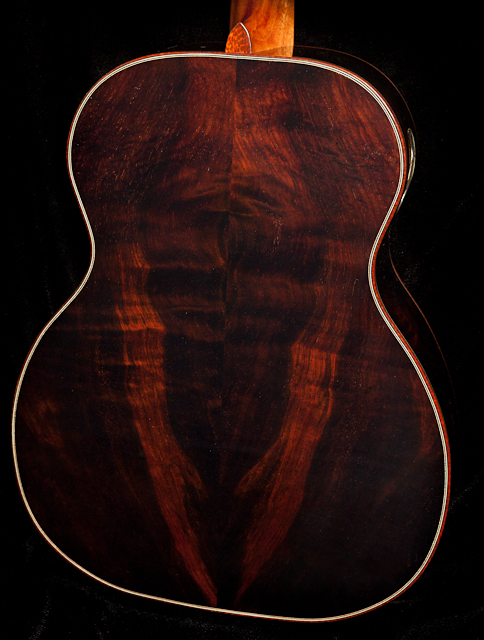 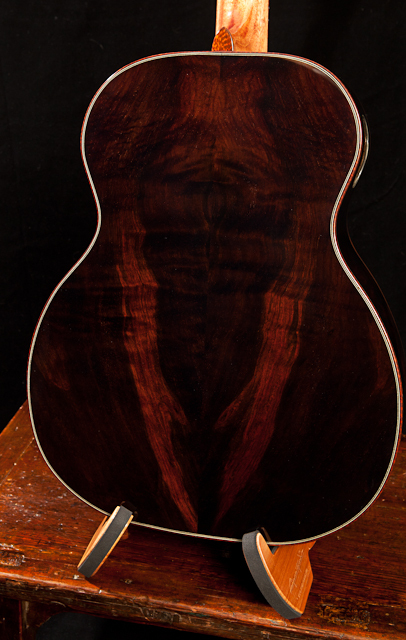 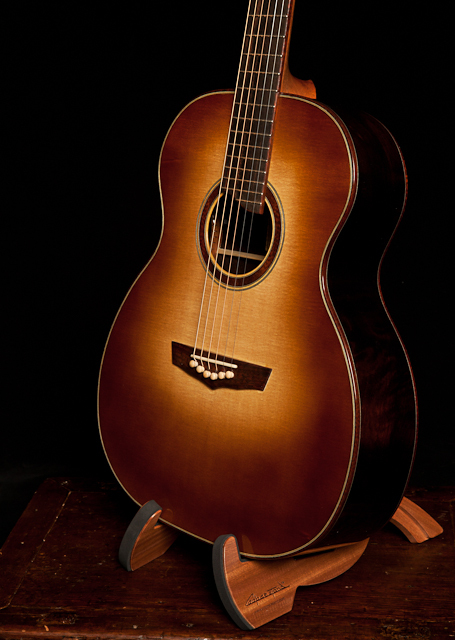 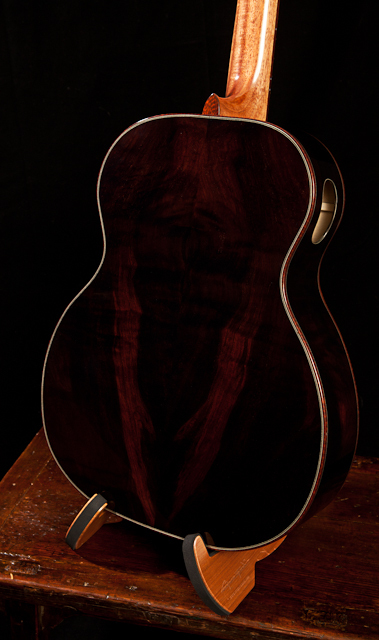 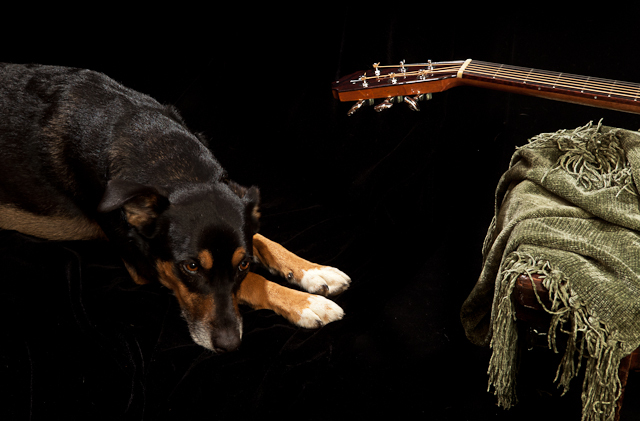 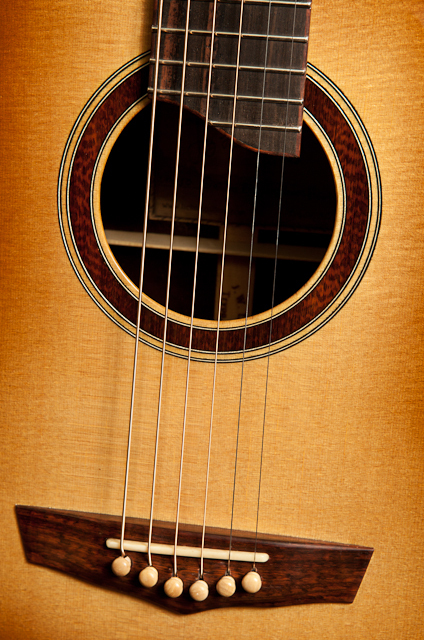 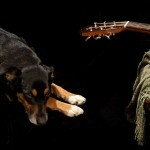 One of the very first sets of wood we purchased when Jay began building was an extraordinary set of Brazilian Rosewood. 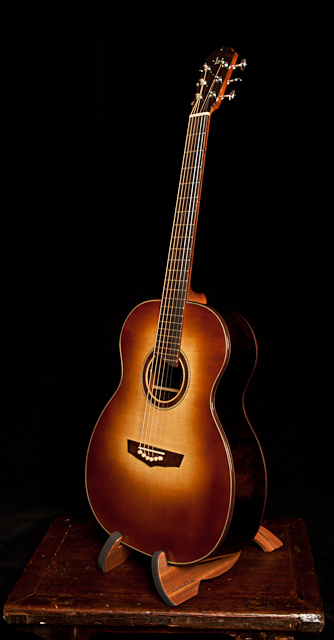 What made it so incredible was the figure. 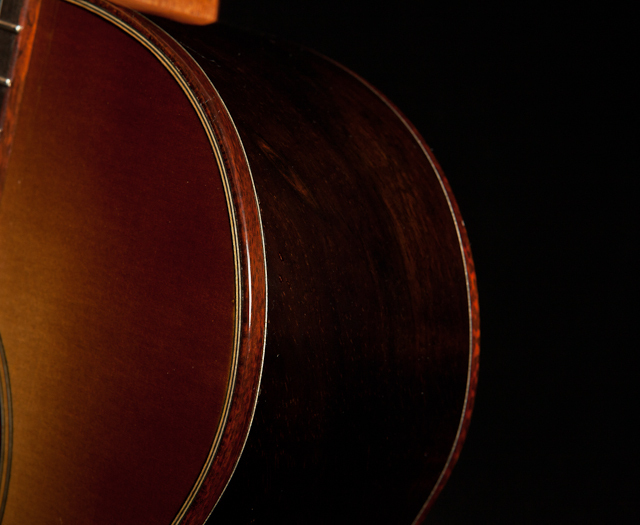 When you look closely there is so much to see. 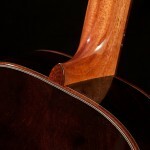 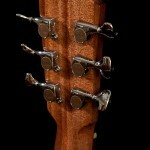 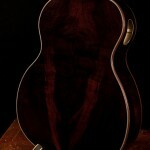 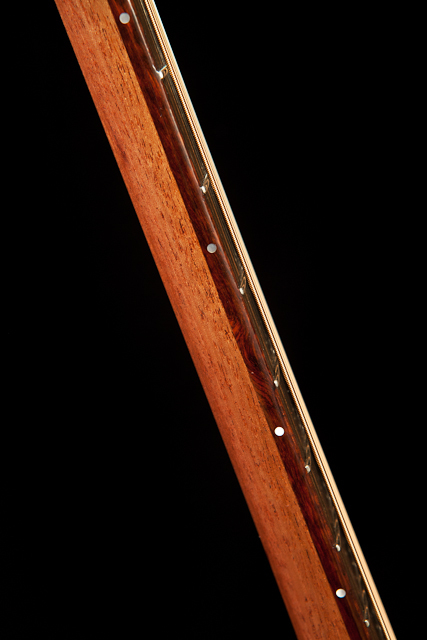 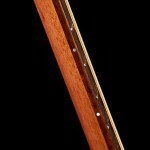 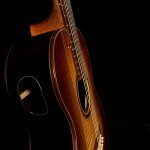 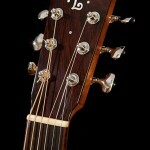 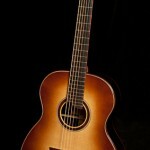 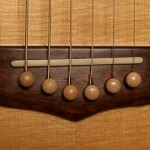 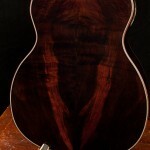 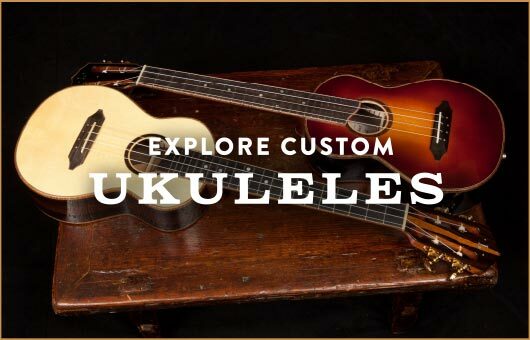 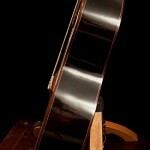 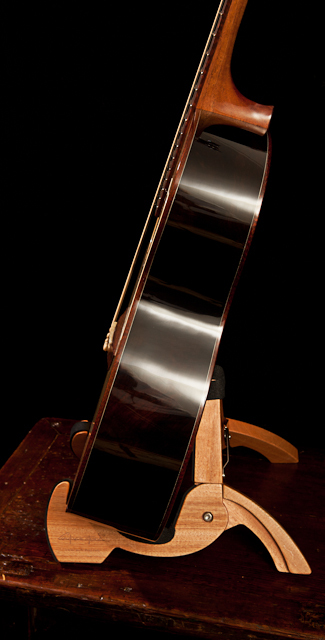 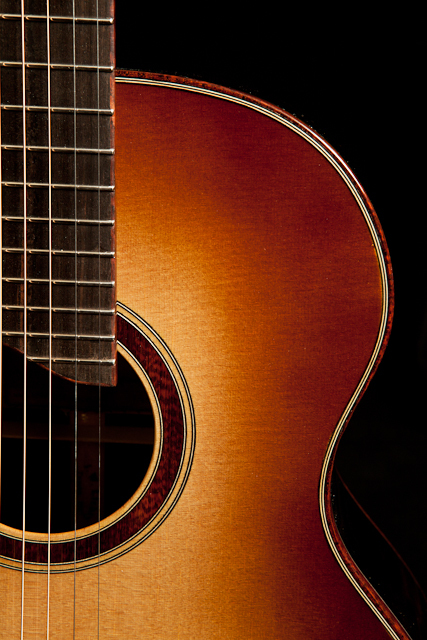 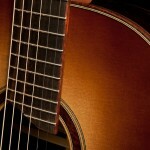 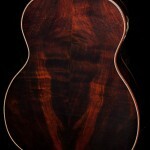 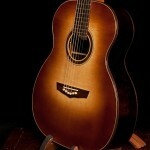 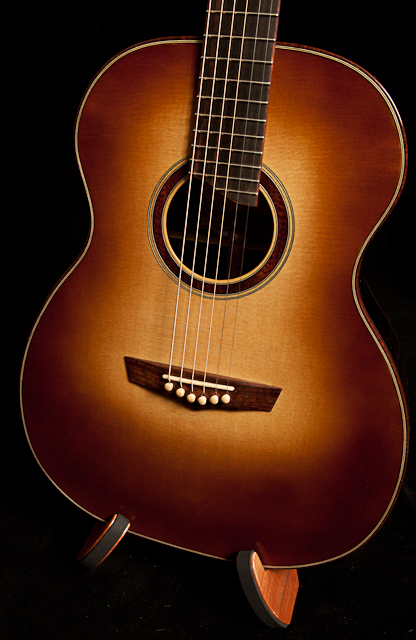 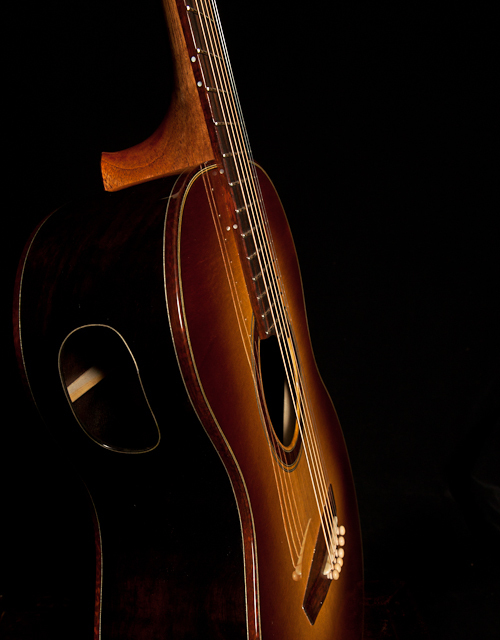 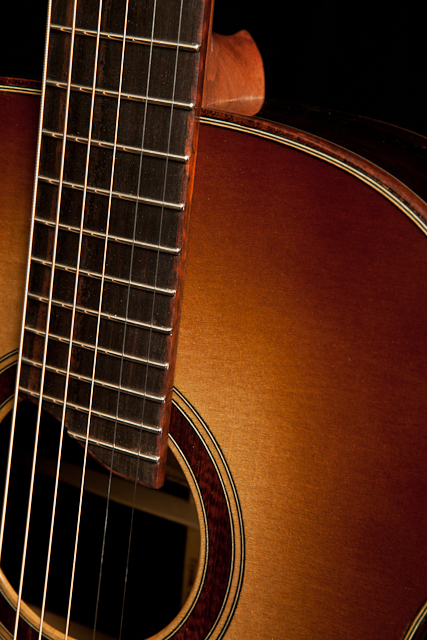 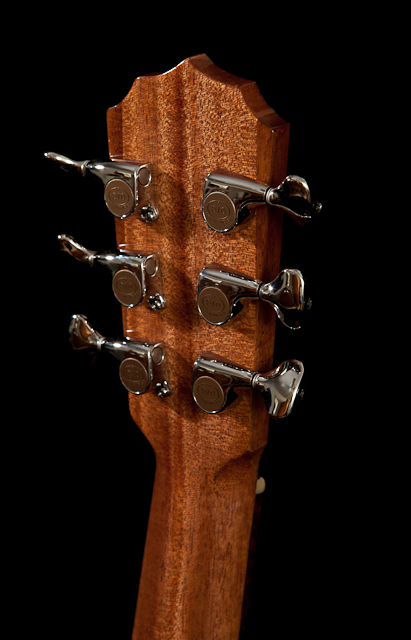 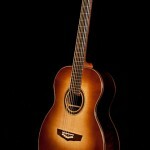 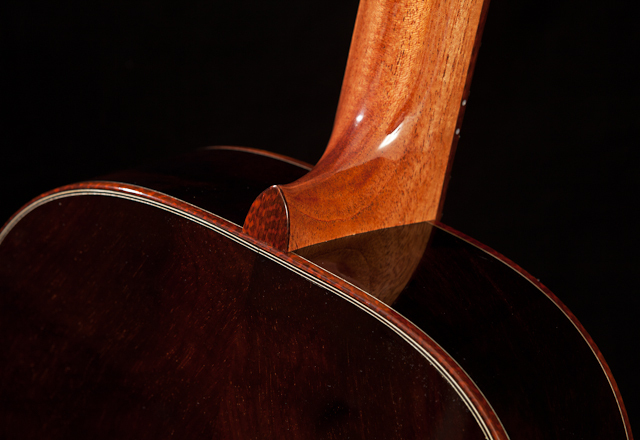 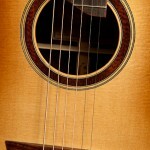 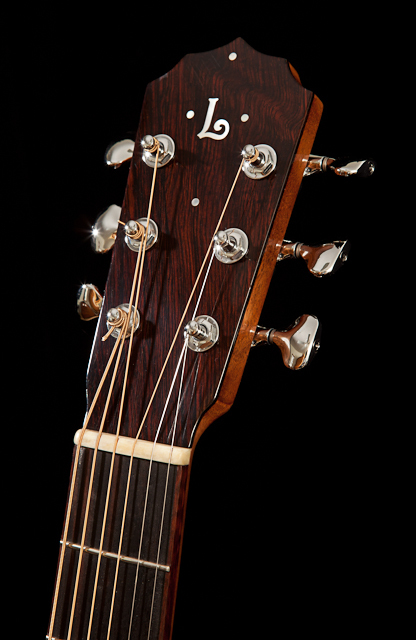 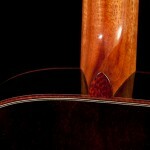 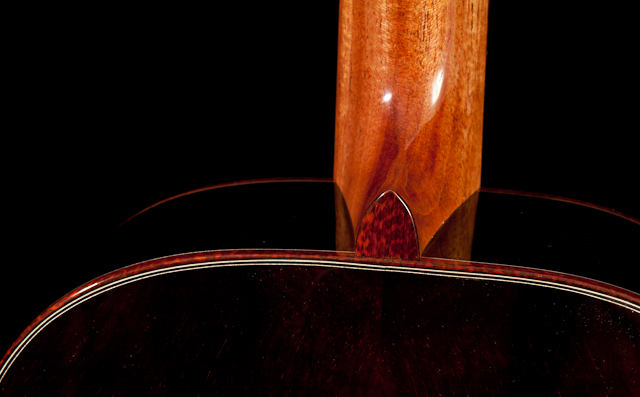 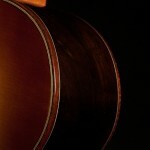 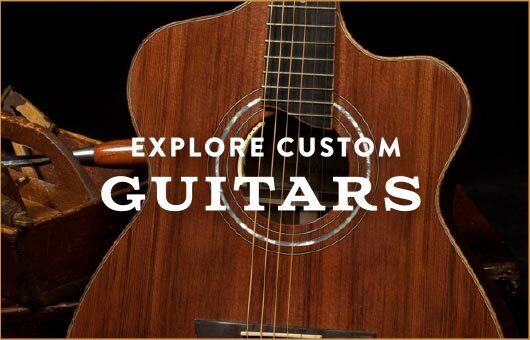 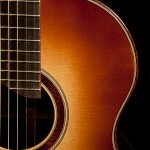 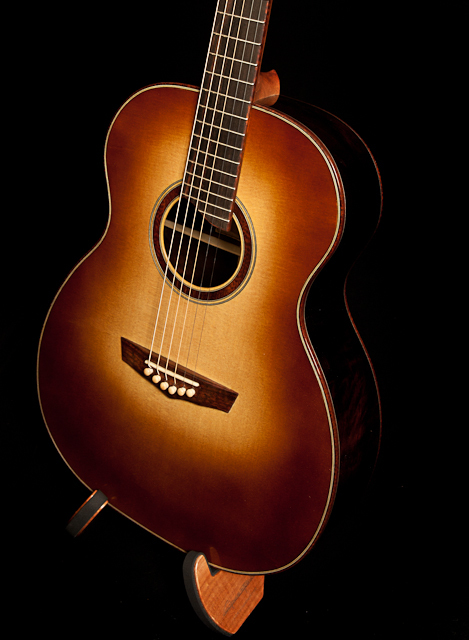 Other appointments include stunning snakewood bridge, binding and rosette and a sunburst top. 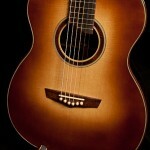 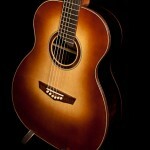 This is a truly a dream guitar!